This blog is being created for all the various social organizations and businesses activities undertaken by the Malhausi (Sahar) Family. It also tries to bring into account all historical facts of the Sengar Clan from various documents available with the Royal Family of Malhausi. All care is being taken to translate the documents into English and would be very happy if we are informed of any mistakes that need to be amended due to translation or from any other documented source available with any of the other family of the sengar clan (vansh). I am sure that it shall give a sense of pride to the entire tribe and an awareness of their glorious past. 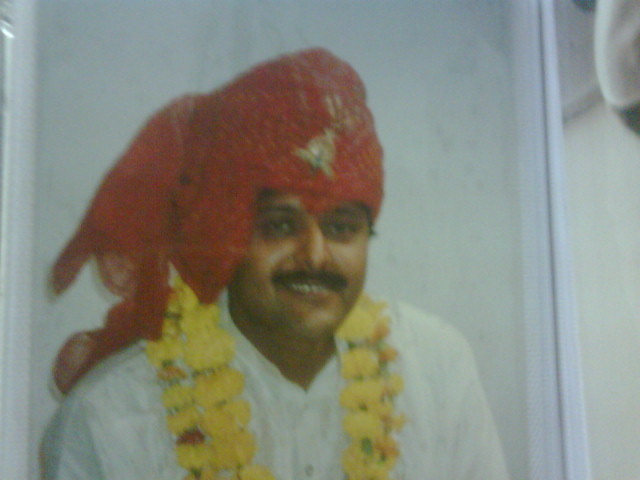 I AM RAKESH SINGH , SENGAR KSHTRIYA FROM WESTERN BIHAR (KOSHAL DESH) AND BEIEVED TO ORIGINAL INHABITANT OF RAMPUR, RASRA IN BALIA. OUR FAMILY MIGRATED TO WESTERN BIHAR IN 1908 AND PERMANENTLY SETTLED IN CHHAPRA. I WAS VERY MUCH INTRESTED IN KNOWING HISTORY OF SENGAR , WHICH HAS MADE ME PROUD. The Sengar (or Sangar) are one of the Rajput Kshatriya clans. The exact lineage of Sengar or Sangar is Rishivansh. After a long time and because of the growing influence of Islam, many Sengars emigrated from North India. Because of the local language and area the term ‘Sengar’ became ‘Sanghar’, ‘Sangar’ and ‘Sanghare’ (Sanghare are found in Maharastra). Sengar Rajputs mostly migrated to the south and are also found in Sri Lanka. In the 1st century Sengar Rajputs went to Central India (Ujjain-Madhya Pradesh). There they joined the army of King Vikramaditya. In the 3rd century they went to Kutch-Gujarat with the army of King Vikramaditya. There the term ‘Sengar’ was totally replaced by ‘Sangar’ or ‘Sanghar.” One story behind the use of the term ‘Sangar’ is that when Vikram Aditya’s Sengar army stayed in Kachchh in 3rd century the army’s leader was Sengar. In Kachchh the Kshatriya Rajput clans made up one group, or ‘Sangh’. This group of Rajputs became known as ‘Sanghar.’ With the passage of time ‘Sanghar’ became a clan or caste name. They are mainly found in Kachchh-gujrat, Pakistan (where they are now Muslim) and in Uttar Pradesh, Bihar and Madhya Pradesh in India. Sanghar people live in Kachchh-Vagad, Saurastra and Jamnagar-Gujrat. I happened to be the descendants of one of the state form Auraiya. I was told that this state existed between Phaphund and Babarpur and it was call State of Beyora, can you please share more details about beyora?